Jun. 16, 2009 Tags: News. I read this article and wanted to share it with you: The Archer and Control https://blog.sonlight.com/the-archer-and-control.html. I took Archery in college. It was the only class that I had with Brittany. One of the first things we learned was that how they shoot in the movies is all wrong. Instead of gripping tightly to the bow as you release, you actually leave your hand open with the bow resting between your thumb and forefinger. When you release the arrow, the bow falls forward and hangs from a little rope that goes around your wrist. This keeps you from accidentally jarring the bow as the arrow leaves your hands so it flies more true. In other words: Archery is all about keeping your hands open, your body relaxed, as you point the arrow where it should go. Doing so actually makes the arrow fly straighter and more accurately toward the target. And I've come to believe that as parents our job is to be like archers. Whether you have a full quiver or only one prized arrow, the practice is the same. Our job is to determine what God has gifted our children to do, point them in that direction, prepare them for flight, and then release them. And the best way to do this is to relax, keep our hands open, but get as much oomph as possible behind them. Real education freedom is for the learner and that means no ruling authority, not merely exchanging one ruling authority for another. ...It’s not real education freedom when church, state or even the parent-teacher controls what the child learns, knows and believes. That means there’s a lot about homeschooling that isn’t real education freedom then. 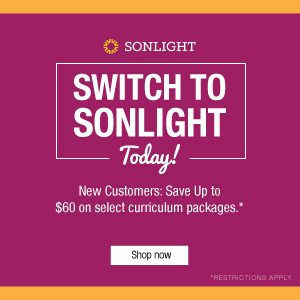 I happened upon the Sonlight commercial curriculum site today for the first time, where I found a list of pros and cons for homeschooling. Guess what the number one "pro" reason was? CONTROL. As I tried to express--and fear I didn't do very well: Control is a loaded word in this context. The "control" Sonlight promotes is much more in line with archery; control that helps the arrow find its target. I *thought* you would be interested in this, Luke. I sometimes feel that I get things from both sides because I have children in the public school AND in our homeschool. Public school is not necessarily the Great Satan, and homeschool is not necessarily the YFZ Ranch. I'm not saying that curriculum choices don't matter, but if I could CONTROL what my child learns, Elf would have had his spelling lessons down-pat by now. I was a fencer taught exactly the same thing as a novice, to lightly balance the foil'ss grip between the thumb and forefinger only, like holding a bird's throat so that it can still breathe. You have more control that way, not less. But the point was still control and direction, how better to use the weapon to your own end. So here's my problem with using that analogy for buying a packaged curriculum (sacred or secular) to better use a child to your own end -- I discovered fencing all by myself, suddenly WANTED to learn to fence, while my friends and family were stunned, and neither my high school nor my parents knew anything at all about it. It was one of the most unschooled things I've ever done. Most of the books I've read and the best ideas I've had in my life were the same way. Delight, discovery, surprise, serendipity. I guess I wouldn't have made anyone a good weapon or soldier. For me (just speaking for myself) the idea that church or state, god or country, much less a curriculum company, sorry) should point me and shoot, is unnerving. Well -- offensive actually. a lot of very cool points here luke; kudos for this post. if ever i get the chance to preach on parenthood i will (lovingly) pirate this illustration. it's quite an amazing insight really. i would never have thought that was how you use a bow and arrow for maximum effect and it really puts parenting in perspective. once again, God's Word rings emphatically true. i also want to respond to the comment, "It’s not real education freedom when church, state or even the parent-teacher controls what the child learns, knows and believes." i agree with this, to some extent. the fact that we get to choose what our children hear, look at, and learn is a form of control, no doubt about it. but it's a God-sanctioned control, one that's built upon the idea that our children need to be told about God and given a healthy, Biblical worldview (Deuteronomy 11:19). i have no problems with that. even though i'm a quasi-unschooler who likes to give my kids a little leeway in what they want to learn and how they want to do it, i'm not an anarchist and i don't for a second believe that children, if left to themselves, will make the right choices all the time. so there does need to be some kind of control in what our kids are exposed to. having said that, i think we must let our kids have as much autonomy as we can allow when it comes to learning. i'm all for letting a child pursue his interests and toning down on the things that bug him. not the extent that he plays video games all day while his creative writing book gathers dust far underneath the bed. but we do aim for balance. you see, the more a child is forced to learn something, he or she doesn't actually learn much, if anything. they may retain facts and figures, with a high likelihood of forgetting them. but true learning happens when you latch on to something out of sheer interest. like riding a bike. most kids WANT to learn and soon enough are on their bike, bombing around the neighborhood having the time of their life. you will probably have helped them balance themselves the first few tries but they soon get it. and no amount of scrapes and bruises will deter them from mastering the ride. the same with any learning, in school or out. as long as there is interest, a child's mind will flourish. the more something is forced on a child, with little attention paid to making it interesting and captivating to the imagination, the more chances the child will hate the subject and give you a hard time at his desk. which is why i love SONLIGHT so much. it's dense and packed with literary richness. it's creative and extremely helpful; it makes learning fun and interesting. it's also designed so that when you're having a slow day, you can HAVE a slow day. no guilt, and you know your child can always come back to a subject and jump right in. 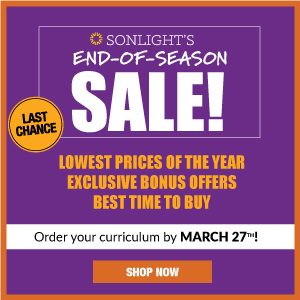 Sonlight makes learning fun and to me, that is key. i may be choosing what my child learns and is exposed to but at least within that framework he is free to choose and adjust as he is learning. (where control and influence is ceded to the teachers/fellow pupils) and going the whole nine yards with unschooling (where the child's self is exalted and parental authority is unbiblically toned down), i'd rather homeschool with a system that allows for relaxed learning/teaching, a system that lets me oversee my child's growth and assures me that he is getting a truly rich and exciting educational experience. 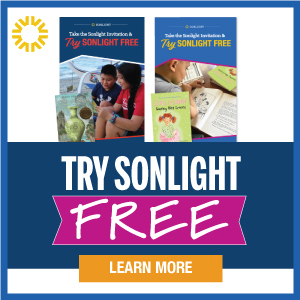 Sonlight is the way to go. Wow. Great post Luke. What part of "Train up a child in the way he should go..." is captured by an educational philosophy that includes "...It’s not real education freedom when church, state or even the parent-teacher controls what the child learns, knows and believes." Your archer analogy is spot on. I love the analogy you use about the arrow. That is a good one that I will have to remember. As far as the comment about giving a child freedom to learn I have only this to share: left alone to their own vices, with no guidance from parents, my children would still not know how to use the restroom; they would starve to death or their teeth would rot away from eating too much candy; they would play video games 24 hours a day; their brain would rot away from obsessively, compulsively trading these silly little cards; and one would still be stuck in a ver, very tall tree from yesterday. Parents are supposed to guide their children and take some type of responsibility for them. While JJ has some good points they are NOT for everyone. Only certain people learn that way. I know. I am one. I learned most every skill I have on my own and because of that I tried to force my children into my mold of discovery and delight but it ended in an avalanche of chaos. They aren't like me. Do we forget that each child is unique and requires different things to thrive? She did exactly what she accused you guys of doing with curriculum - she put our children in a box and expected that one theory fits all. Great post, Luke. You always make me use my brain early in the morning. Clearly I don't belong here and I'm happy to go quietly. 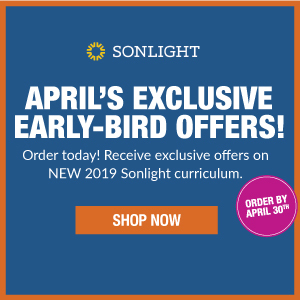 As I do, though, let me make it explicit for all you Sonlight fans that that my original words as passed on by Mrs C, had nothing to do with this curriculum, or even deciding how to homeschool. It was part of an ongoing matter of ultimate concern about public advocacy for homeschooling in the public square, my little corner of expertise in the education world. I was trying to illustrate how homeschooling philosophy and policy positions can sound more extreme and absolute in our public rhetoric than we live them or even mean them. I picked education freedom as an example. So no one here stands behind absolute education freedom? I knew that. But it can sound as if we all do (and as if many of us are downrright delusional) when in defense of absolute education freedom we equate public schooling with jack-booted thugs and Marxists and statists, blah blah. Anyway, it's a much larger conversation, and no sales pitch or curriculum review, and I'm sorry to have intruded. Thank you for inviting me in for a chat Luke, and best wishes as a dad! Mrs. C, <smile>. I really appreciate you pointing me to these things! JJ, ...hmm... I see your fencing analogy as very different from my archery one. Very similar in set up, but vastly different ends. Because, yes, trying to use a child for your own ends is, well, sick. The point of parenting is, however, to help prepare our children for their end... their purpose. In the case of you taking up fencing, I would hope that your parents would see your interest and encourage you down that path. Dan, I "stole" the illustration from my pastor, so I think it's only fair that you are free to take it <smile>. "true learning happens when you latch on to something out of sheer interest." Love it! Thanks for sharing your rave review. It's very encouraging to hear <smile>. Thanks, Ken! Yes, may we train up our children in the way they should go... wherever that may be. Thank you, Amy! "Do we forget that each child is unique and requires different things to thrive? ...it is for these very reasons that I love Sonlight. ...It is the most unboxed, boxed curriculum I have ever laid my hands on and yes, I have seen a few." Absolutely, if my siblings and I are any indication, each child is vastly different <smile>. JJ, I'm sorry that you feel like you don't belong here. That is not at all what I want. And you are absolutely right: Your comments were part of a much larger conversation. And it was I who intruded on you, and I'm glad you stopped by to visit and share your insights. Your comment about how our ideas can "can sound more extreme and absolute in our public rhetoric than we live them or even mean them" is precisely why I wrote this post: To give a little more context/shading to the idea of "CONTROL". Thanks again for stopping by, and I do hope to see you around here in the future. ". . .yes, trying to use a child for your own ends is, well, sick. The point of parenting is, however, to help prepare our children for their end..."
I hate these conversations. I think part of the problem here might be that there are as many homeschooling philosophies as there are homeschoolers. I noticed on JJ Ross's profile that she is an unschooler. In some ways, the tenor of this conversation reminds me of conversations I have heard between Calvinists and Arminians. 'nuf sed. I think you expressed it very well. Unfortunately, sometimes it doesn't matter how well you articulate something, some people are just not going to receive. By that person's comment it would seem they are against any form of education except radical unschooling. And perhaps even against any form of parenting except extreme permissive. I'm betting that's not what they meant, but it's pretty flawed to zero in on homeschooling being about control and forget that traditional school is, too, depending on how you define control. HEY! Read this today and I'm wondering if she has been reading our conversation here and posting about Sonlight... and control... LOL WOW. JJ, now you've got me really curious, what don't you like about ""fitting children for usefulness in their stations"? I'm far too entrenched or something, because I'm not following you here... But, yes, I'll definitely see you around, here, on your blog, or wherever <smile>. Ken, "the tenor of this conversation reminds me of conversations I have heard between Calvinists and Arminians" that is a very interesting point. And, yes, I could see how that would be true in this case. Interesting. Thank you, Ann. I was honestly feeling a little blue yesterday because I felt like I wasn't able to say anything well. And I hate that feeling. JJ, honestly, I'm going to have to spend more time on your blog to get used to your style. I got lost in that post... and overwhelmed. But it's also the end of the day and I'm feel pressure to finish up a few other items. Fun! Mrs. C, you must have been typing while I was writing up yesterday's response <smile>. That is a good article. Thanks for sharing! Sorry, to me it is SO glaring! The resolution acknowledges ”the fundamental injustice, cruelty, brutality and inhumanity of slavery and Jim Crow laws,” the name given to state statutes that enforced racial segregation in public places, voting, education, housing and employment. In her paper she quotes historians noting that in that society "any upright woman . . .had to perform her expended labors knowing her true dignity and USEFULNESS consist in FILLING THAT STATION marked out for her by the God of nature and grace, being an assistant of man. . ."
A century later the same words and beliefs were justifying routine beatings of women (and especially children) as in Go Tell It on the Mountain. So the last thing home education wants to affiliate our teachings with, if protecting our individual freedoms is the real aim. There are citizens and even politicians today, who really think a Puerto Rican woman from the projects is trying to rise above her fitting "station" and must be put back in it. Rush Limbaugh made a vicious joke about her and her fellow Latina professionals as being fitted for cleaning up, said he'd get them all vacuum cleaners . . .
JJ, well, that would be why I totally wasn't tracking with you at all! <smile> My mind never went to any of the places you mention, and--I firmly believe--never would. Granted, you may be absolutely right in your history and how this idea has been interpreted and carried out. And, in that case, yes: I'm against such usage of the phrase. However, my confusion rests in that this initial post ultimately says much the same thing without the baggage of history or misuse (and, I hope, never would carry the same meaning). I am not for forcing people into the wrong place, keeping people down, or belittling others. But I want everyone to be properly equipped so they can be successful in whatever vocation/position they "should" be in. ...and perhaps that's where the issue is: The "morality" of all this. Because, yes, people have used this kind of thinking to do horrible things to others. Also, there is much disagreement over "callings" and what people are able to do--or not do. And people have, as you point out, justified evil with wrong ideas applied to this very foundational--and I still hold--good ideal: To be positioned in such a way so as to be stellar in our position. To fly directly toward your goal. And that position is whatever you should be. Not what others think you should be, or want you to be, or force you to be (which is why I urge parents to hold lightly <smile>). But what are you uniquely gifted/able to do? What are your strengths? What are those things that will fulfill you, bless others, and ultimately do good in the world that only you can bring? That is what I would like to make sure you are fit to do so you can be most useful in that station. In that sense, I think this idea leads to the most individual good: The freedom to fly toward where you should go. ". . .The freedom to fly toward where you should go." Howdy - just chiming in here after following the link from JJ's. A very interesting discussion. I, like JJ, see the deeply negative connotation of seeing people as being "fit for their station." So, if you don't mind, I'd like to join the conversation. To follow up on JJ's last comment, I'm not sure what you mean by "should be," Luke. You say: "And that position is whatever you should be. Not what others think you should be, or want you to be, or force you to be (which is why I urge parents to hold lightly). But what are you uniquely gifted/able to do? What are your strengths? What are those things that will fulfill you, bless others, and ultimately do good in the world that only you can bring?" I guess I don't understand who gets to decide what any person "should be" if it has nothing to do with his/her wants and others aren't deciding for him/her. I mean, who then decides "what" a child "should be"? Also, you add: "That is what I would like to make sure you are fit to do so you can be most useful in that station." What about love, joy, passion, excitement? What about changing your mind and going in a new direction? I guess I don't see what's so great about being "useful" in a "station." I see it as limiting. If I look at my own kids as examples, I would be sad to think that I raised them to think of themselves as "useful" for a particular thing in life. life is a la carte. 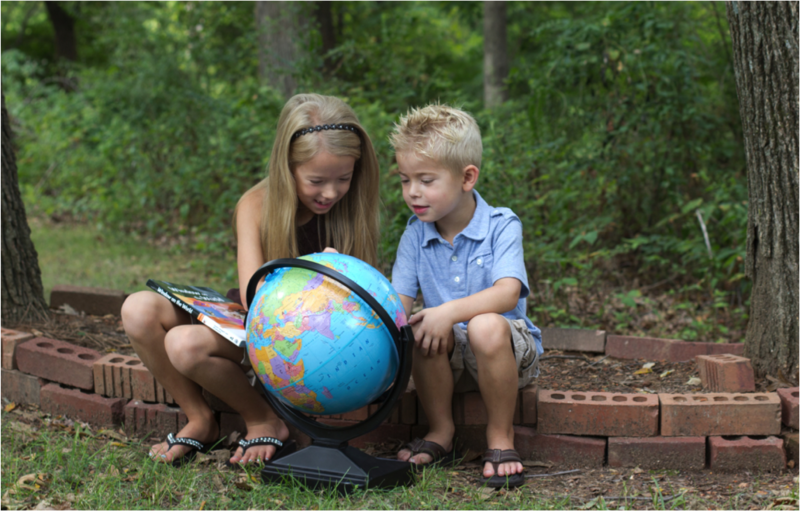 Successful parenting and homeschooling means helping my kids find what makes their hearts sing. I honestly can't imagine where usefulness and stations fit in. Wow! It boggles my mind that you are arguing against the word "should". There ARE things we should do. There ARE things our children should do. We are commanded by God to do them. There is a price we will pay if we do not do them. Whether we like it or not we ALL have a station in life. What that is, is between the individual and God, but to suggest that people do not have a station in life is profoundly absurd. That's about as straight a shot to the heart of our profound difference I've heard in any home education discussion, Ken. Quite right. There is the true control conflict, right there. I do argue against imposing religious "shoulds" on children and calling it freedom. Yeah, I think I kind of figured that is where we were all along. I kind of tried to make that point with the worldview comment. Some seem to be very intolerant to any view that holds that there is a knowable, absolute truth. Intolerant? If we're talking religious rather than academic controls, don't you mean damned? Actually, as an example, one of the "shoulds" I hold to be true is that five year olds should not touch hot stoves. I know of no thinking Christian who knowsm, as a truth, who is and is not damned. We only get that imposed on us as straw man arguments by people who are intolerant of our beliefs. Good example of knowable, absolute truth universally accepted as a "should" then. Any parent homeschooling or not, Christian or not, who teaches a child otherwise -- TO touch the hot stove -- is a child abuser, and we virtually all agree. So no education problem, no curriculum needed, no freedom/control or belief/science debate. I actually, "should" probably leave this discussion as this is Luke's blog. I do not want to overstep any bounds in areas and ways that he might not appreciate. I know he treads much more lightly than I, but I enjoyed the discussion while it lasted. "I know of no thinking Christian who knowsm, as a truth, who is and is not damned." Oh, I do, Ken. For example, the woman and her children on my street who told my children they're going to Hell because they don't believe in Jesus. Are my neighbors not correct, according to at least some Christian denominations, that only those who believe in Jesus go to Heaven and everyone else heads downward, aka, are damned? "Actually, as an example, one of the "shoulds" I hold to be true is that five year olds should not touch hot stoves." I don't think that's such a great example. Why single out five-year-olds? What does age ( a station in life?) have to do with touching hot stoves? Plus, I think the "what someone should be" idea of Luke's is less about how to avoid getting a blister and more about one's overall path in life. Huge difference. "There ARE things our children should do. We are commanded by God to do them. There is a price we will pay if we do not do them. Whether we like it or not we ALL have a station in life. What that is, is between the individual and God, but to suggest that people do not have a station in life is profoundly absurd." And I see it just the opposite, that to suggest that people *do* have a station in life is profoundly absurd and dangerous. As JJ pointed out, it is just this kind of thinking - based on the bible oftentimes (but often not) - that justified the ownership of other human beings as being fit for their station in life, among other atrocities. It *is* about control and power. With this world view, at *some* point, some people start trying to decide for others (parents for children, gov't for the people, religious leaders for the followers, the list goes on) what those others *should* do. they start interpreting what they believe to be someone else's station. And then they go about structuring the environment to make it a self-fulfilling prophecy, only to use that as evidence that they were right all along. It's rife with danger, whether it comes from a deeply held belief in a deity or not. <smile> I love you guys! And I'm pleasantly surprised that this discussion is still going. I don't mind keeping it going, and I don't mind people voicing their ideas, comments, and whatever on this blog at all... but I do ask that it stay clean (I haven't needed to delete a comment yet, but I will happily removed spam and feel obligated to remove anything with strong profanity, but people are always welcome to post again without their harsh language if it comes to that). Lori, you are spot on: Passion, drive, interest--along with what I mentioned: gifting, ability, unique talents--are all aspects of ourselves that point to where we "should" go. And we, as parents--I'm told--can see much of those indicators in our children. Like, when my mom noticed that I have a creative bent and suggested I look into film production as a major. She was also right that I should start swimming as a sport. Granted, it took some coaxing on her part, but it was great once I was there. Same with trumpet. But, similarly, she noticed that I wasn't into soccer or t-ball... so I quit after a short while of trying it out. And, going back to this original post: We as parents have the job of helping see where that is for our children--and see when it changes too, so we can encourage them down that road as well--so we can be the support/guidance that helps them fly. I believe wise counsel, gentle prodding, and constant cheering are foundations of our jobs as parents. We are not to mandate a direction, force a decision, or look for self-fulling prophecies. But because we know our children so well--better than anyone else--we use our position as students of our children to help them along. Just as an aside, I don't know how many times Elf has been asked, "Shouldn't you be in school?" And my homeschoolers will answer things like, "No. We don't go to school." I get where JJ is coming from on the fitted-ness for stations idea. I also get that my nonverbal child will likely not be an English professor. I see at the outset that language is not his forte (at all! ), but he can do puzzles and match well, which leads me to believe that he has a mathematical ability untapped. It seems (hopefully I am not drifting too far off topic) that it would be very wrong of me to train him as though he would become that English professor rather than the math-y guy. He would spend years of frustration and feeling stupid in his classes, which even in the best situation will be hard to avoid in the outside world when he is seven or eight and someone says hello and he can't respond appropriately. It also seems (further still off-topic, drat) public schools spend much time remediating and focusing on a child's weaknesses rather than developing the strengths. Which *I suppose* in learning to function at low, basic levels may be a good thing. I am not willing to break my child's spirit to get there. I hope there is a good "station" out there to fit him FOR. I would prefer the olde-fashion'd idea that there IS one out there for which he would be suited. JJ, I'm not sure public policy is a good idea for this kind of thing at all. So, yes, it may not be "fitting" <smile>. And, yes, we humans have plenty to keep us moving forward... plenty that we already know but continue to not do... hence our need for more grace <smile>. Mrs. C, thanks for your input. I don't think it's too far off topic at all and adds an extra dimension to this whole thing. Good stuff.